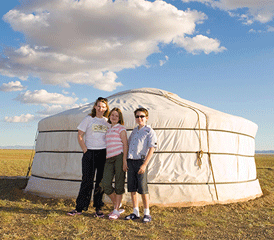 Experience Mongolia in a different way! We are offering an experience that will take you off the beaten track and will allow you to explore the natural and cultural highlights of one of the remotest, yet most beautiful parts of the country. Looking for some quality time with your children and introduce you them to a totally different culture that is so child-friendly? Mongolia is the right place for you. This ancient and varied land of nomads is well-known for the hospitality and soft adventures suitable for families with children. This exciting family tour is fun at the same time educational, includes various soft adventure activities such as horseback riding, wildlife viewing, hiking in Hustai national park. Hustai is one of the most famous national parks of Mongolia and is a home to over 200 beautiful Takhi wild horses, the world’s only existing wild horse species. Besides, Mongolia’s the home of hearty nomadic people, whose lifestyle has not been changed a lot since the days of Genghis Khan and his empire. You might have heard many stories of travellers being dazed by the sincere hospitality of the nomads. However, if you look deeper into their spirit, you will witness how strong, stern nomadic men can be moved to tears by their race horses rushing to a finish line. Their lifestyle, religion and philosophy are shaped by the Mother Nature to a great degree; and nomadic customs, music, literature and costumes have been passed through centuries. And in this hectic 21st century only Mongolian nomads welcome strangers with unlocked doors. 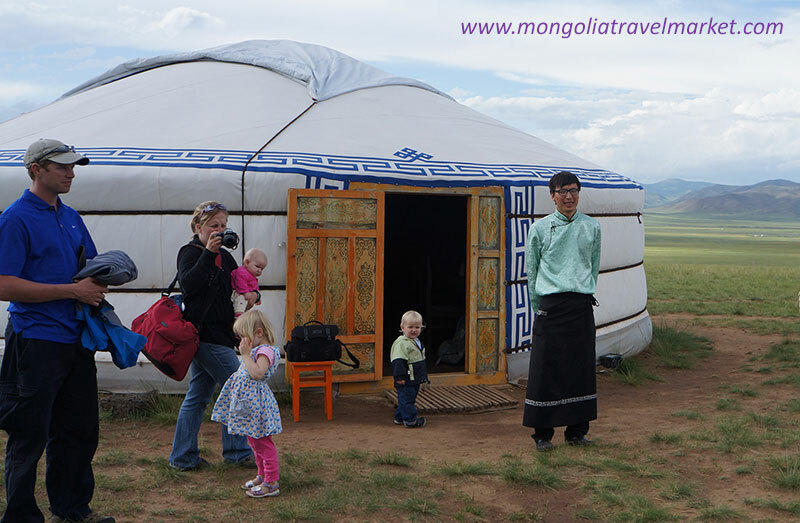 There will be plenty of occassions your family will meet real nomadic people and children and enjoy their heartwarming hospitality and learn about their culture during the tour. Premium Travel Mongolia tour guides are knowledgeable, experienced, and are happy to be the ambassadors of their country. 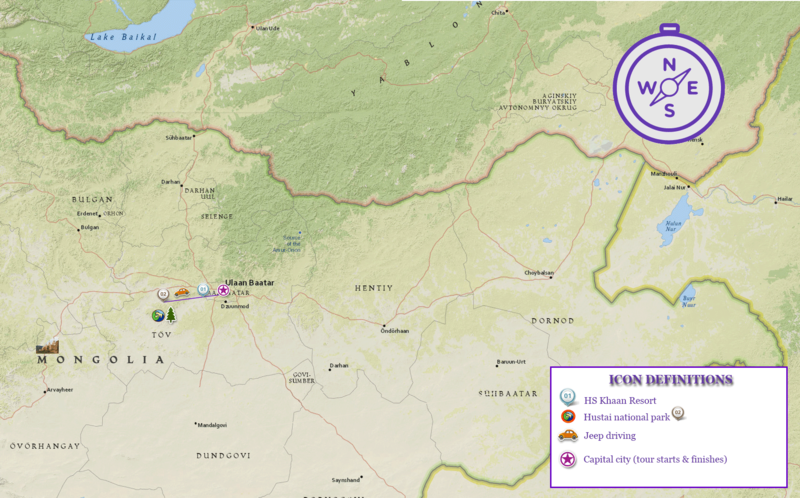 Plus, travelling in Mongolia and discovering the wonders doesn’t mean rough travel conditions. We utilize comfortable 4×4 vehicles with AC, clean and comfy Ger camps (en-suite) to complete your wonderful Mongolia stay with us. Day 1. 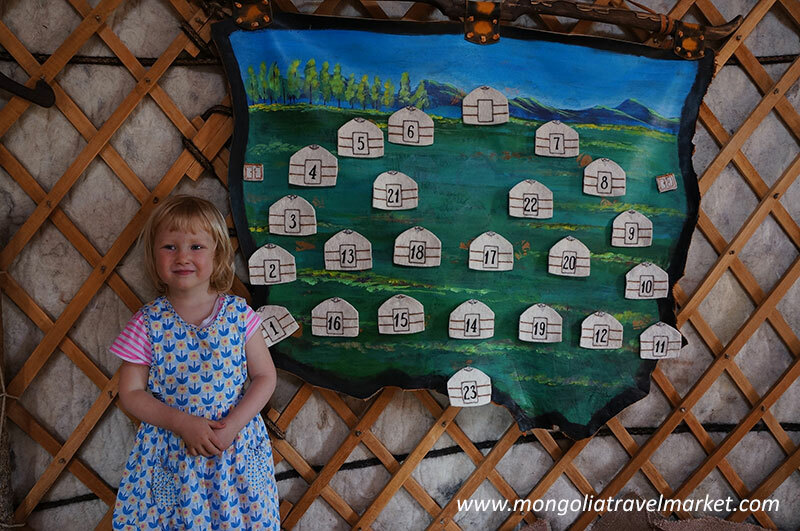 Ulaanbaatar – Mongol Nomadic - Hustai national park ~2 hr drive. 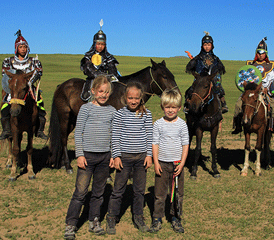 Meet your guide and driver at the hotel lobby in the morning and start driving to Mongol Nomadic show for 1 hour. Watch and participate in the spectacular show showcasing the ancient tradition of nomadic way of life. After lunch at the camp, drive to famous Hustai national park, watch documentary film about national park and the Takhi – wild Przewalski horse. Walking through hills and discover more about wildlife in the National park. Today is our fun and educational day, we’ll experience nomadic culture, traditions and learn about their lifestyle, meet nomadic children and experience each other’s life. After having a breakfast at the camp, we check out and drive to the nomadic family, arrive and meet with hosts. See how the nomadic women do their endless daily chores such as dairy making, caring children, doing embroidery, making deel (traditional costumes) and cooking etc. Guys may want to herd sheep or cows on horseback with nomadic men. From mid-July nomads also make the famous Airag – a drink made from mare’s fermented milk. Enjoy nomadic dishes and drinks and play nomads’ traditional games. After drinking cup of milk or fresh yogurt, go to bed and overnight with nomadic family. After breakfast with the host family, head for famous Khogno Khan Nature Reserve and Elsen Tasarkhai-sand dune. We will first visit the Uvgun Khiid monastery and learn about some Buddhism history. Then arrive at the Elsen Tasarkhai and walk around for some photo shooting or try some camel riding around. By lunch time we arrive at the Geo lodge and have a delicious welcome lunch. Take a leisure afternoon and have some archery demonstration and competition among your team before dinner. In the morning, after having a breakfast we’ll drive back to Ulaanbaatar and transfer you to your accommodation. Ends of service.